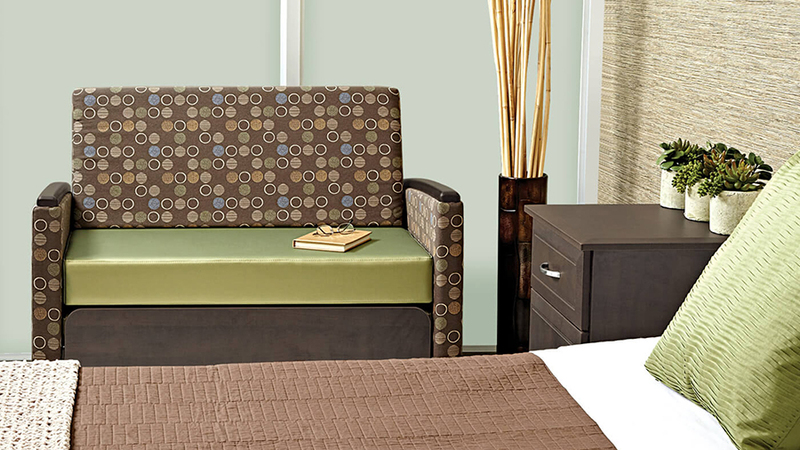 Stance Healthcare Inc. is a leading environmentally sustainable manufacturer of high quality healthcare furniture products. 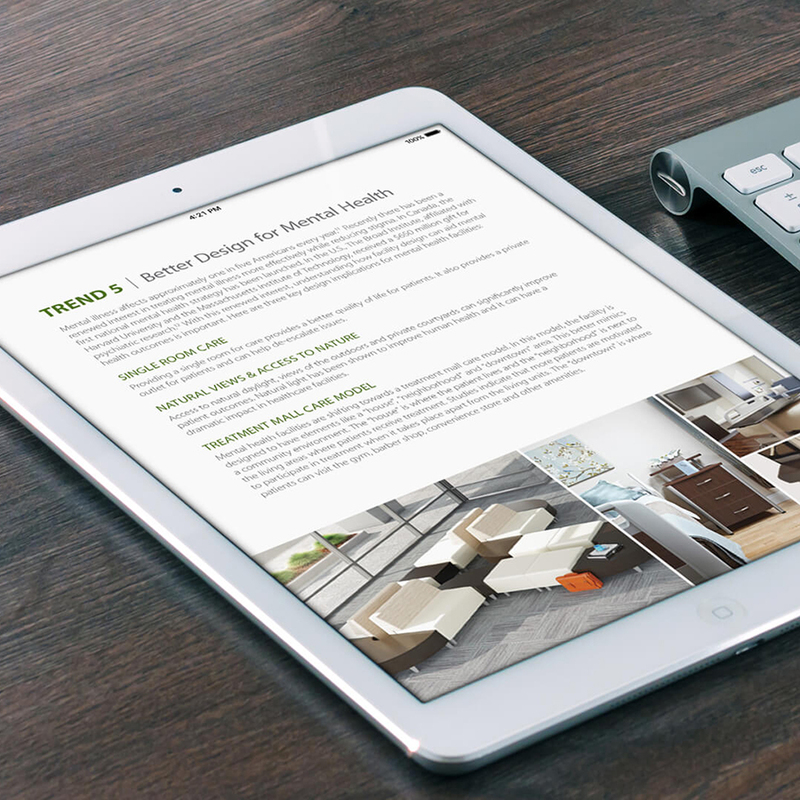 Their core focus is on creating effective healthcare spaces through furniture innovation. Stance Healthcare was looking to optimize their digital presence and better leverage these platforms to both increase awareness of the Stance Healthcare brand and connect with prospective customers. In the past, Stance had invested heavily in their sales strategy. The missing link was the role that marketing can play in supporting sales. They were eager to have Stryve’s help building their sales funnel through sponsored content campaigns. After laying the groundwork for an improved digital presence on social channels, we created a content plan that included lead-driving sponsored content campaigns and SEO-building organic content. Stryve managed the integration of a WordPress blog on their existing website and began content creation. With the goal of engaging prospective customers, we created a series of gated guides containing helpful information in exchange for contact information. These content pieces were promoted via PPC campaigns to reach three distinct target audiences. Incoming leads were nurtured by Stance’s sales team as well as a Stryve-executed email marketing strategy. 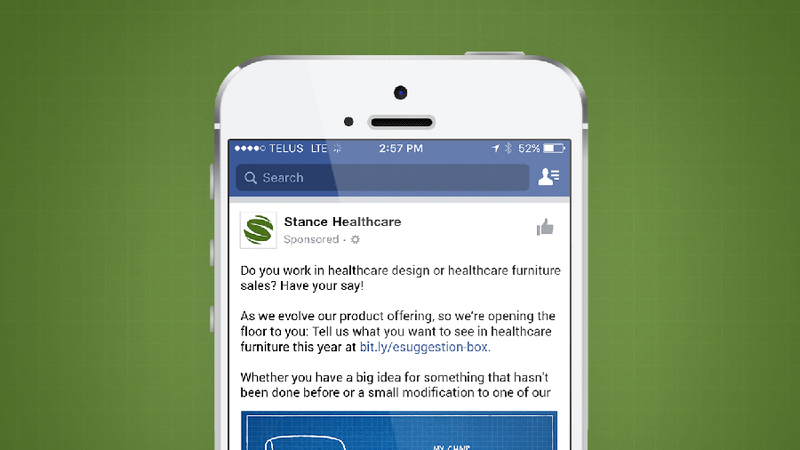 Stance Healthcare’s sales funnel and social media platforms grew significantly as a result of a strategic sponsored content and lead nurture strategy. Each campaign brought in highly qualified leads and email communications resulted in consistent re-engagement with prospective and current customers. Many of our content campaigns saw conversion rates 3-6 times higher than industry averages and a significantly lower cost per lead.